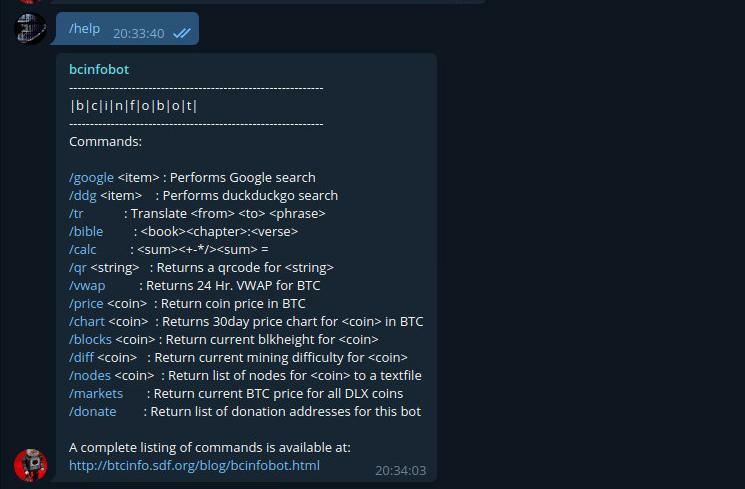 btcinfo — Posts tagged "Info"
bcinfobot is a common lisp bot that bridges irc and telegram, and performs a variety of mostly useless crypto stats. It currently resides in the #btcinfo channels on freenode irc and telegram. IRC command prefix is `$` - You must have a registered gpg key to use this bot. This post will be updated as soon as comprehensive list of all commands can be added. Discussion is currently more vibrant on telegram, and discord support has been requested.